President Bush's State Of The Union outlined The Advanced Energy Initiative to help break America's dependence on foreign sources of energy by setting a national goal of replacing more than 75% of our oil imports from the Middle East by 2025. The Initiative will accelerate our breakthroughs in two vital areas: 1) how we power our homes and businesses; and 2) how we power our automobiles. Ø The President's Coal Research Initiative. Ø The President's Solar America Initiative. Ø Expanding Clean Energy from Wind & Nuclear. Ø Developing More Efficient Vehicles. Ø The Hydrogen Fuel Initiative. There are an estimated 250 million vehicles on America's highways, and Americans will purchase more than 17 million vehicles this year. It will take approximately 15 years to switch America's automobiles over to more fuel efficient technologies. George Grey: Revolutionary or Policy Wonk? 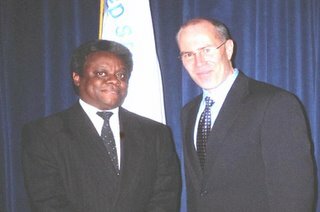 I have met with Dr. George M. Grey and I attended his swearing in ceremony as the new EPA Assistant Secretary for Research & Development. He has a perfect family with a beautiful wife and wonderful 10-year old son and 8-year old daughter. And on top of all of that he appears to be a very nice guy. I like George Grey. But the important question is: Will he do anything revolutionary during his tenure in the nation's capital, or will he just blend into the scenery at EPA? We support the Bush administration’s Global Nuclear Energy Partnership (GNEP) plan to expand civilian nuclear energy in the U.S. and abroad while taking spent fuel from foreign countries and reprocessing it. Recycling spent fuel reprocesses the uranium and also separates plutonium that can be used in bombs to produce a mixed-oxide (MOX) fuel that can be used in commercial nuclear reactors to produce electricity. Such fuel is being used at a nuclear plant in North Carolina. 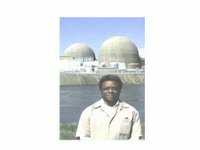 Nuclear power is a technology that does not increase global warming. We also believe that nuclear waste should be handled by a separate agency (U.S. Nuclear Waste Management Agency) from the Department of Energy. 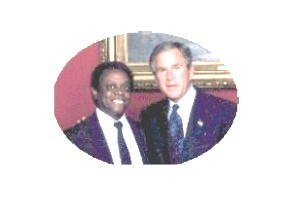 The Bush plan will include $250 million in the fiscal 2007 budget for the program. Instead of just providing nuclear fuel to reactors in other countries, the U.S. would also take back the fuel for reprocessing once it has been spent. Russia is proposing a similar plan for the Iranian nuclear program. The U.S. has opposed reprocessing spent fuel because it produces material that could be used in nuclear weapons. We believe spent fuel can be properly handled and the GNEP will not increase the danger of proliferation. If you want to work on energy and environmental issues would you submit your application to the Bush administration or to an environmental group? We would say your chances are probably equal between President Bush and the following environmental groups: Environmental Defense, Natural Resources Defense Council, Environmental Law Institute, and World Resources Institute. Using a twist on the Kanye West quote: "The other environmental groups don't care about black people." Honorable mention to The Nature Conservancy for completing our Diversity Survey. The Green Group Diversity Survey is available on our website and we constantly send it to them, but most adamantly refuse to answer it. Why do you think they refuse to hire black people or answer our survey? Ford Motor Company announced it plans to cut 30,000 jobs and shut down 14 factories in its North American division. Salary-related costs are being cut 10 percent and the company's officer ranks will be reduced 12 percent. Ford's restructuring announcement follows plans detailed by General Motors Corp last year to close 12 plants and cut 30,000 jobs by 2008. Both Ford and GM suffered from a slide in sales of sport-utility vehicles as gas prices rose and intensifying competition from global rivals. It is amazing that these companies can lose billions of dollars and remain in business. Will Japan be running the Detroit auto business soon? 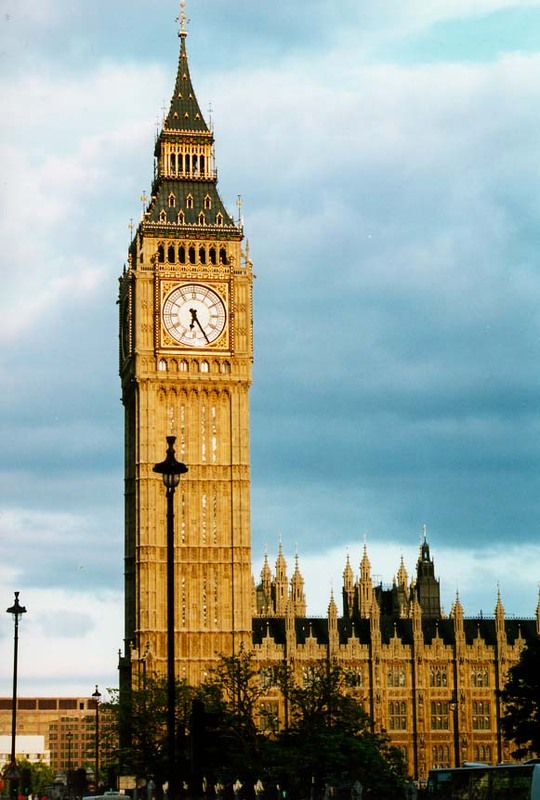 Environmental Justice in London: Linking the Equalities and Environmental Policy Agendas, is a report about the relationship of environmental issues to social and economic exclusion. It highlights both evidence of environmental inequalities and leadership on environmental equalities within London. A number of key measures are suggested to drive development of integrated policies addressing environmental justice in London. Pollution and race issues must be too complex for humans to solve everywhere. What do you think? Will Lobbying Curbs Hurt the CBC? The curbs on lobbying being proposed by Congress could prohibit ANY gifts from lobbyists. This might be okay for the rich members, but for members of more modest means, this will inhibit their ability to compete. We believe that money is a form of speech and, for the most part, should not be limited, just disclosed. If you look at financial disclosure reports, you will see that they are pretty thin for members of the Congressional Black Caucus. Some CBC members, like many other members of Congress, accepted contributions from Jack Abramoff. CBC members are not rich. Although Senator Barack Obama amassed $15 million for his senate victory and Congressman Charles Rangel raises the most in the House CBC with about $2 million for his campaigns, most members are not wealthy. That $165,000 annual salary doesn't go very far when you have to support two homes. Put a kid or two in college and they have to budget. Environmental justice is the equal treatment of all people with respect to environmental issues. Approximately 150 million people in the U.S. breathe polluted air during smog season. Global warming is altering our climate and brewing a more toxic smog. Minority communities, in addition to being exposed to dirty air, are also burdened with a disproportionately large number of pollution facilites. Fortunately, nuclear power plants do not emit carbon dioxide or other greenhouse gases. These plants also do not emit smog forming gases. A strong argument could be made that, from an air pollution and global warming perspective, nuclear power plants provide technological environmental justice. 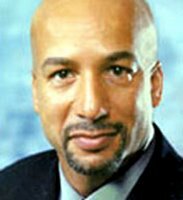 New Orleans Mayor Ray Nagin said God has cursed the Gulf Coast with hurricanes because of the American war against Iraq and he wants the Big Easy to be 'Chocolate City' again. This characterization is not exactly being embraced by whites. Nagin complained a few months ago about the prospect of New Orleans becoming a majority illegal alien Mexican city. 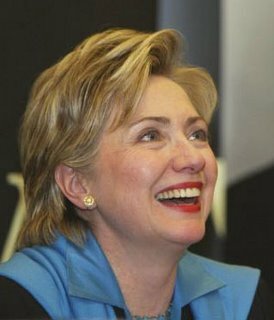 Senator Hillary Clinton (D-NY) called the U.S. House of Representatives a 'plantation' at Alfred Charles Sharpton's MLK event in Harlem. 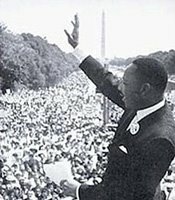 Is the climate changing in the observance of the MLK holiday? Would Rev Dr Martin Luther King support such statements about Chocolate City and plantations? Newly elected Liberian president Ellen Johnson-Sirleaf was sworn in today and the ceremony was attended by First Lady Laura Bush and Secretary of State Condoleeza Rice. 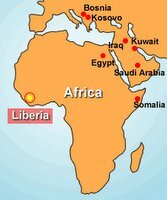 Liberia is Africa's oldest republic and was established in 1847 by freed American slaves. 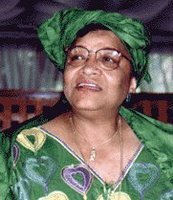 Hopefully President Sirleaf will work out better than Charles Taylor, who was a complete disappointment. In addition to clean air, water and land, Israel's existence must be protected at all costs. Although Islam is a legitimate religion, Judeo-Christianity is even more legitimate. Of course, it might be beyond human capabilities to peacefully coexist in such a hierarchy. 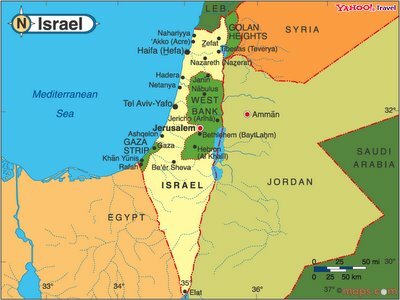 Regardless, the largest environmental threats to Israel right now are plans by Iran to build nuclear bombs and Hamas' dedication to the eradication of the Israeli state. Hamas, as a newer, more destructive version of the Palestine Liberation Organization, poses a daily suicide bombing threat to Israeli citizens. And any Islamic plan to build nuclear weapons to eradicate Israel is a proposal for enviromental suicide. Israel is not trying to eliminate Islamic states, although it has the capability to do so. Weeds do not stop growing in winter. In fact, although slowed by the cold, they can grow profusely. 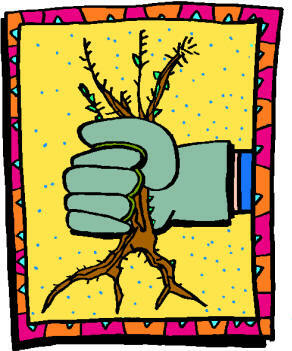 Maybe this global warming winter also provides an ideal environment for taproots. 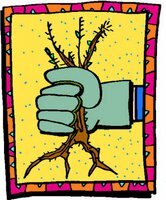 As you know, I like to get out there and pull weeds and weed roots by hand (without a glove). I established a nice lime base with applications in the front, back and side yards in October. Summer Foxtail is allowed because it makes a nice buffer at the fence line and is at the bottom of an inclined yard. Martin Luther King, Jr. significantly improved the environment of black and white Americans. He gave his life working for equality and challenged America to judge its citizens based on the content of character rather than color of skin. We have come far but considerable environmental reclamation is still needed. We sure could use his help right now with the black-on-black murder culture. Dr. King would have never anticipated this nightmare. 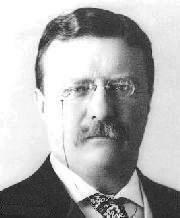 President Theodore 'Teddy' Roosevelt would reject the philosophy of environmental justice because he was a racist. 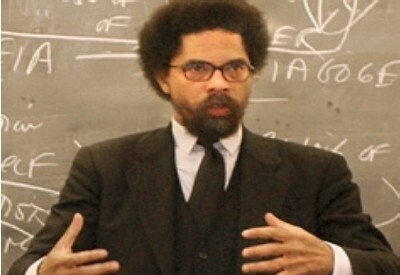 Although he is considered to be the first environmentalist because he issued executive orders setting aside hundreds of millions of acres of national forests, water reserves and wildlife refuges, he also refused to acknowledge the important and courageous role played by black troops at the Battle of San Juan Hill because of his racist beliefs about blacks. Modern environmentalists revere Teddy Roosevelt as a great hero. Although we acknowledge Roosevelt's contributions to conservation, we reject him as any kind of hero because of his racism. Many environmental groups today provide a valuable service by working to protect the environment, but also reflect the same racism exhibited by Teddy Roosevelt. Most of these groups do not hire blacks in professional positions and often promote policies that are detrimental to black communities (See AAEA Diversity Survey). Did Belafonte's Delegation Talk Oil? 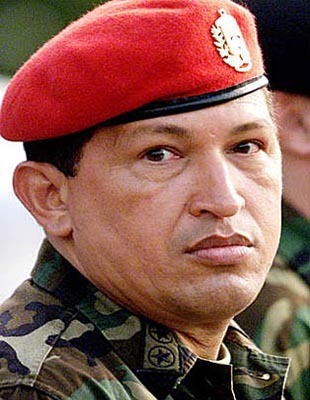 Singer, actor, activist Harry Belafonte recently met with Venezuelan President Hugo Chavez. 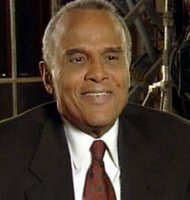 Although Belafonte called President Bush the greatest tyrant and terrorist in the world, we wonder if he also took any time to discuss oil. Black Americans control virtually none of America's oil imports and own virtually no energy infrastructure ("What A Good Energy Policy Means For Blacks"). Yet Venezuela provides up to 15% of U.S. oil imports and the U.S. purchases up to 60% of Venezuela's oil output. Chavez's socialist revolution is supposed to use this wealth to improve the conditions of the 80% of Venenuelans who live in poverty. Socialism in oil rich countries never seems to lift the poor out of poverty. Let's hope the rich, famous folks meeting with Chavez discussed some sort of oil business arrangement between Venezuala and black Americans. We are overdue in significantly participating in American energy product and service delivery. 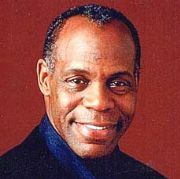 Belafonte's delegation included actor Danny Glover and Princeton University scholar Cornel West. 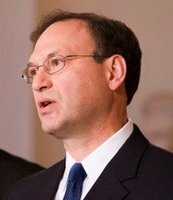 The Left Wing of the mainstream environmental movement opposes the nomination of Judge Samuel Alito for the Supreme Court. Unfortunately, they are manufacturing his environmental views based on imaginative speculations. These are the same groups that have absolutely refused requests to answer our Diversity Survey. Of course, they would not miss this opportunity to join with other partisan, liberal groups, even as they maintain their abysmal record of failing to employ and retain blacks in professional positions. President Bush runs rings around the Left Wing of the mainstream environmental movement in this area. Judge Alito has received the highest recommendation from the ABA and we believe presidents should be allowed to choose their nominees, and absent some Earth shattering disqualifier, the Senate should confirm the selection. Of course, if the opposition wants to appoint Supreme Court judges, they should take a page out of former President Bill Clinton's 'How To Be A Republican-Lite And Win The Presidency' playbook, and WIN AN ELECTION. 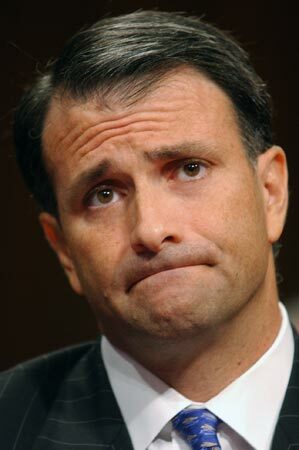 Jack Abramoff, Indian Tribes & Environmentalism? Jack Abramoff pleaded guilty in a Miami criminal case acknowledging that he conspired to defraud lenders in the purchase of a fleet of Florida casino boats five years ago. Abramoff has also pleaded guilty before a federal judge in Washington to defrauding Indian tribe clients of millions of dollars, conspiring to bribe members of Congress and evading taxes. He is cooperating with officials and will probably implicate many members of Congress in taking bribes. Italia Federici is president of the Council of Republicans for Environmental Advocacy (CREA) and she worked very closely with Jack Abromoff. Mr. Abramoff directed hundreds of thousands of dollars (approx $500,000) from indian tribes to CREA allegedly to influence the Department of Interior and Congress. The CREA president is being portrayed as a paid conduit for Abramoff's influence-peddling with the Department of Interior. Ms. Federici says she was just doing environmental work. A Dec. 2, 2002 email from Abramoff to Federici, publicized by the Senate Indian Affairs Committee, described how he sought former Deputy Interior Secretary Steven Griles' help in scuttling a casino plan by the Jena Band of Choctaw, a Louisiana tribe seen as competition by his clients. Federici is a former political aide to Interior Secretary Gale Norton and a confidante of Griles. She presented controversial testimony at a Nov 17, 2005 hearing before the Senate Indian Affairs Committee, chaired by John McCain (R-AZ). In the mid-1990s Ms. Federici worked on former Colorado Attorney General Gale Norton's failed bid for the U.S. Senate. Ms. Federici partnered with Ms. Norton to create the Coalition of Republicans for Environmental Advocacy (now called the Council of Republicans for Environmental Advocacy). Sources: Source Watch, Washington Post, The Hill. Americans should be aware of the daily work of our miners producing the coal to assure that we have the electricity we need. Twelve men working about two miles underground gave their lives this week in an accident at the International Coal Group (ICG) mine in Sago, West Virginia. ICG purchased the mine in November 2005. The wrenching scenes of distraught families broadcast from Sago Baptist Church have touched citizens nationwide. And we can be thankful that one person made it out alive. There will be Congressional hearings on the accident. The U.S. Department of Labor's Mine Safety and Health Administration (MSHA) and the West Virginia Office of Miners' Health Safety and Training (OMHST) will review the accident and propose regulatory improvements. The reported 208 mine violations will be revisited. We have also heard from mining officials that 2005 was one its safest years ever. However, for the moment, let us honor the brave men who lost their lives this week. Think about them every time you turn on an electrical appliance in your home. Fifty percent of the nation's electricity comes from coal-fired plants. President Bush: Modern Teddy Roosevelt? 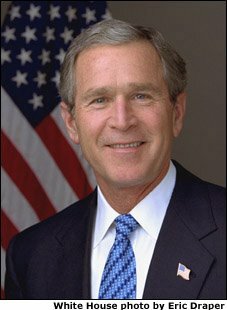 Although most mainstream green groups with a desk over at the Democratic National Committee will disagree, President Bush could be remembered as one of the top environmental presidents in history. Although he has already passed and implemented numerous innovative environmental policies, we believe his last three years will seal his destiny as a green visionary. Already a rugged, outdoor cowboy, boot wearing, belt-buckle showing, brush clearing pragmatic environmentalist capable of balancing protection of Mother Nature with economic vitality, this Commander-in-Chief will ultimately be considered an icon for global environmental protection. The Energy Policy Act of 2005 is already the best Kyoto Protocol in the world. By aggressively promoting the building of new nuclear power plants, it is the most aggressive greenhouse gas reduction program being implement by any nation on Earth. We also hope President Bush will introduce an environmental justice bill that has teeth in his second term. And we do not believe he is finished with energy and air policy proposals. President Teddy Roosevelt created the National Park Service and was the object of the 'Teddy Bear' craze. Whereas Teddy was bad on race issues, President Bush is a virtual revolutionary, with the most powerfully diverse administration in U.S. history. President Bush will ultimately be considered to be 'greener' than President Roosevelt.